Homemade Organic Blueberry Coconut, can I call it, Vegan Bliss with Acai. Sweetened with maple syrup. Creamy, non dairy, made with coconut milk and served melted, the way I like it. Reminiscent, of the countless hot fudge soft serve sundaes of my childhood. No wonder, I love chocolate and creamy desserts. 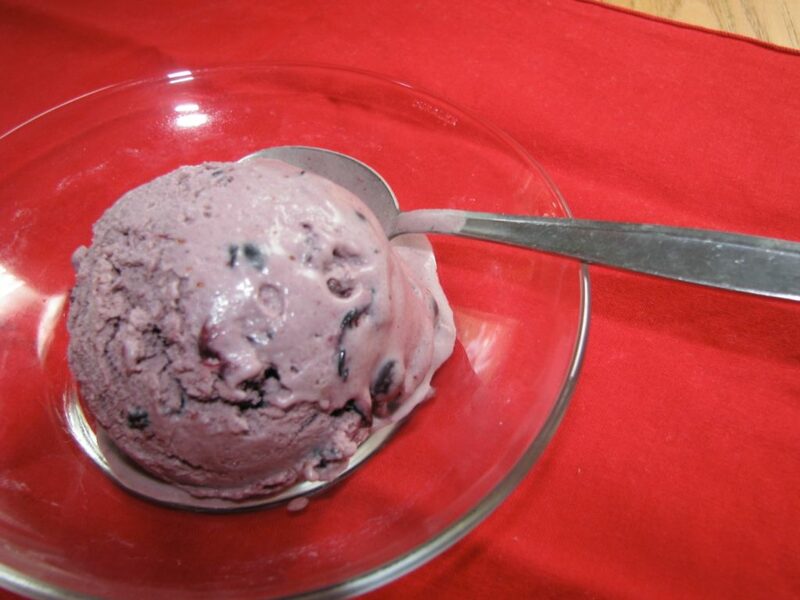 This frozen dessert was made with blueberries from my organic, wild, blueberry orchard. Come visit and taste the goodness. Take a group or private cooking class and learn how to make all kinds of delicious, vegetarian, vegan and gluten-free dishes for your health and pleasure.